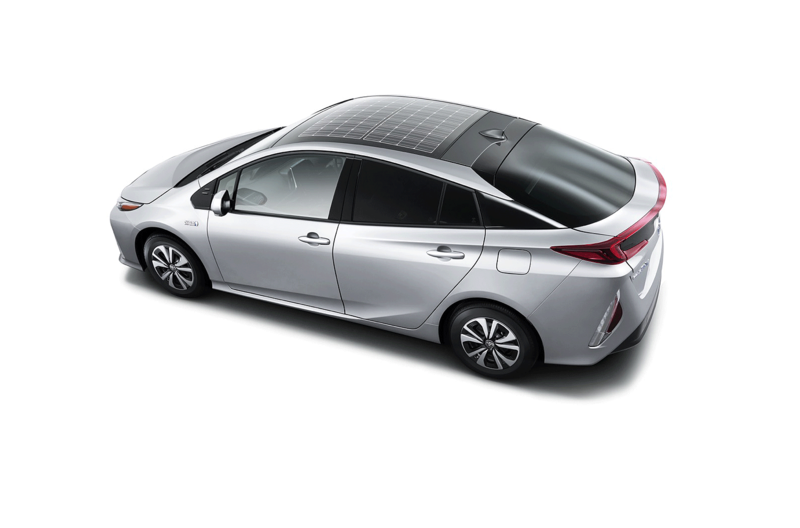 In Japan, the plug-in hybrid version of the new Toyota Prius will be available with a large solar panel built into the roof when it goes on sale in the fall. Buyers in Europe will also be able to order the panel, but don’t look for it on the list of options if you live in the United States. That’s because the solar panel is installed on reinforced glass sheeting that shatters in the event of a rollover. That’s acceptable in Europe and in Japan, but the setup doesn’t comply with safety regulations in the U.S. Toyota still hasn’t found a way around the issue. Where there’s a will, however, there should be a way, and the Japanese firm is committed to offering its greenest model with a built-in solar panel in the not-too-distant future. “We would like to introduce this, at least in the lifetime of the current model. It should be possible to do a lot of charging this way in places like California or Arizona,” said Koji Toyoshima, the chief engineer of the Prius and the Prius plug-in hybrid, in a recent interview with Automotive News. The solar panel stretches nearly the entire length of the roof. When the Prius is parked, the electricity generated by the panel is sent directly to the battery pack. When it’s running, the electricity is used to power accessories such as the A/C, the lights, and the power windows. Toyota promises that adding a solar panel to the Prius makes it about 10-percent more efficient, though more specific figures haven’t been announced yet. Toyota engineers are busily developing a way to offer the solar panel on our shores. We don’t know when it will arrive yet, but it’s safe to assume that it will be available as an extra-cost option.